Search our range of New Mazdas. Make the most of our exclusive deals. Keep your Zoom-Zoom alive & book your service. Welcome to Hobart Mazda. We are your local Mazda dealer, located on Campbell Street. Mazda is one of Australia’s most popular brands. Our range includes a vehicle suitable for every stage of your life, all of which contain the best safety, design and technological features. 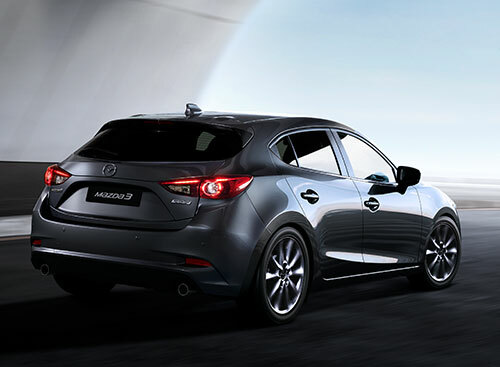 We have the Car of Choice – Mazda3, a range of 5 and 7-seat SUVs – including the CX-5, CX-8, and CX-9, and the new-look BT-50. Every new Mazda is now backed with our 5-Year Unlimited Kilometre Warranty that covers any defect in material or workmanship in both parts and panels. Bought a Mazda or serviced your car recently at Hobart Mazda? Why not leave us a review! We pride ourselves on our customer service, any feedback is welcome.